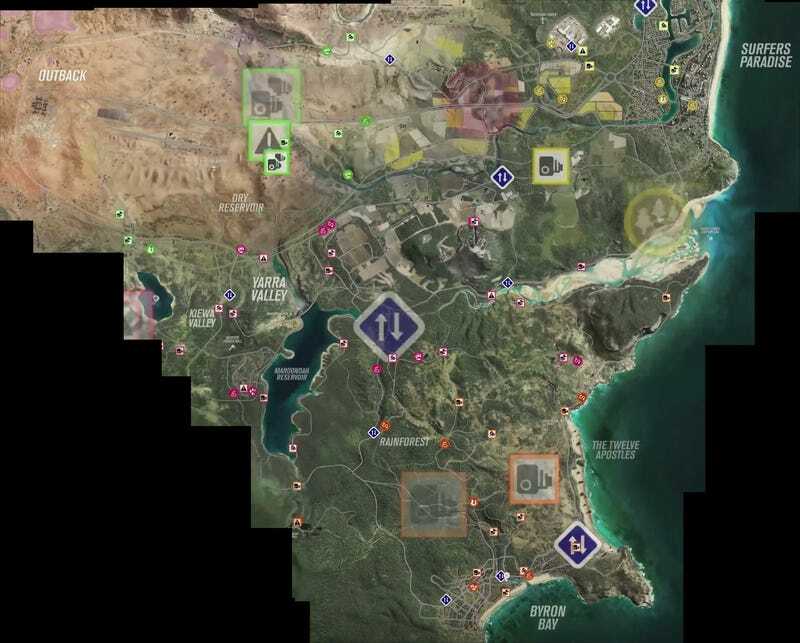 Some people stitched together the map of Forza Horizon 3, and even in this incomplete form, we can tell that it’s gonna be awesome. From what I’ve seen from the forums, its already larger than the FH2 map, and the devs claims that the map is 2x as large are going to be easy to validate. The proper city portion, Surfers Paradise, is another awesome feature. It’s all but confirmed that the Surfers Paradise Street Circuit will be the prominent fixed racetrack in-game. If so, with the addition of the V8 supercars in the Motorsport All-Star pack, we already have one hell of a race venue. This game keeps getting better and better.